Joe demonstrates the correct style and technique for some of his favourite exercises for key body parts, including arms. The interview covers posing, training, pre-contest preparation and diet as Joe reveals the secrets to his “super-ripped” physique. 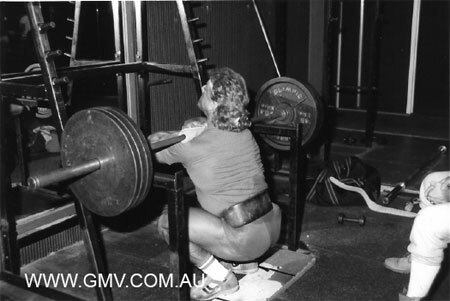 Joe is an articulate speaker and he clearly explains his training and posing philosphies, steroids and more. See photo below. Joe winning the 1984 Mr. America as supplied by Joe. 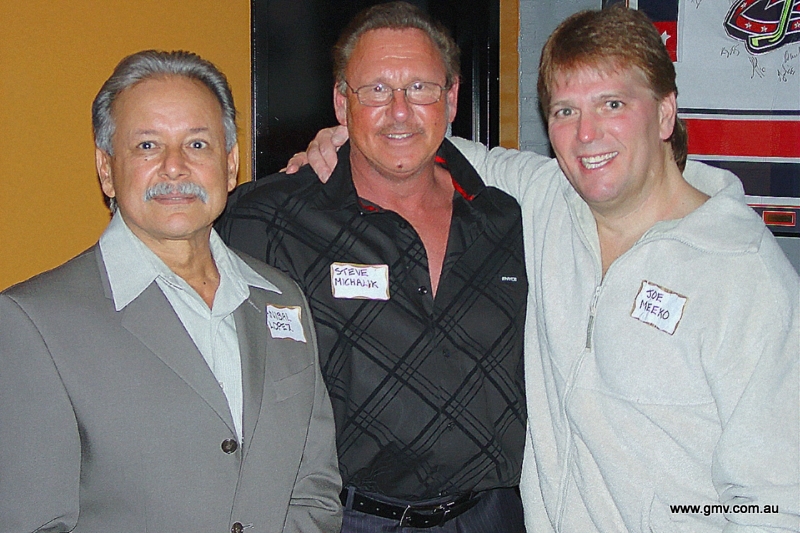 Left to right - ANIBAL LOPEZ, STEVE MICHALIK & JOE MEEKO. Photo taken by Wayne Gallasch at the 2007 Iron Age Reunion in Columbus, Ohio.